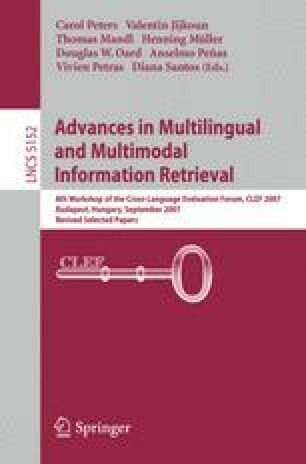 This paper describes a rather simplistic method of unsupervised morphological analysis of words in an unknown language. All what is needed is a raw text corpus in the given language. The algorithm looks at words, identifies repeatedly occurring stems and suffixes, and constructs probable morphological paradigms. The paper also describes how this method has been applied to solve the Morpho Challenge 2007 task, and gives the Morpho Challenge results. Although quite simple, this approach outperformed, to our surprise, several others in most morpheme segmentation subcompetitions. We believe that there is enough room for improvements that can put the results even higher. Errors are discussed in the paper; together with suggested adjustments in future research.